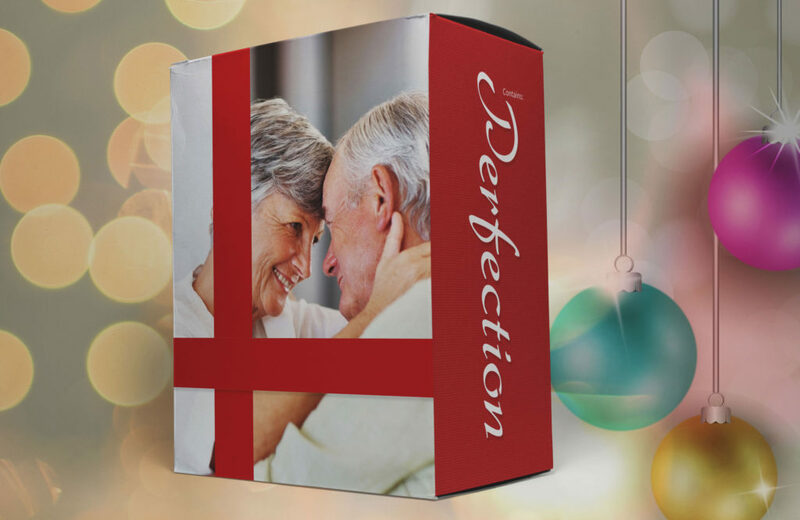 What Makes a Gift Perfect? The scene: you and your loved one – barely veiled expectation is palpable – the rip, and crumple of premium gift wrap fills the room. Will she or won’t she like it? Is it the right choice, the right colour, the right size? What did the clerk say the return policy is? You wait like an impatient kid. It’s a test; grade school all over again, and you are waiting for teacher’s approval. “That’s very nice dear. It’s just what I wanted.” That’s it? No big smile, no tears, no sloppy kisses? What went wrong? Page 36, model number 24-601B, colour red – just as she wanted, right? Is there such a thing as the perfect gift? Yes, Blanche, there is such a thing as the perfect gift. As sure as love, truth, and the prompt arrival of the January VISA statement, the perfect gift does exist. The trick is to recognize it when you see it. To recognize the perfect gift you must first know what it isn’t. The perfect gift isn’t a measure of warmth, affection or feelings you have for the recipient. A gift will not solve a problem, correct a wrong, or replace the waffle iron you borrowed and lost. A gift isn’t a measure of anything. So, the perfect gift isn’t a measure of your relationship, what is it? It should be unexpected, extravagant and from you. Sounds difficult? Well, anything worth having doesn’t give out it’s number too easily. Repeat aloud three times: “I am not my lover’s VISA, I am not my lover’s VISA, I am not my lover’s VISA (Insert mother, brother, or friend where appropriate). This is your holiday mantra. It will protect you from the easy gift choice. This raises the question, can a gift purchased with catalogue and model number I hand be called a gift at all? A Prada belt or BMW auto may well be appreciated but not necessarily perfect. Beware of the gift that is “needed”. Look for the unexpected item. Flirt with extravagance. Have fun, watch your budget. Extravagance need not mean great expense. Think of textures, tastes and smells. Luxury bath products, scented candles, and good wine can be extravagant if the gift-ee would enjoy it, but wouldn’t necessarily spend the extra money on herself. Be generous with your effort. Evoke your personal style sensibility. Harness that energy. Resources are available to help you tap into your creativity including books, magazines, whole television channels and websites dedicated to hearth and home. Tune into the inspirations offered by your favourite divas of design. What interests do you share? What experiences are unique to just the the two of you? If you don’t share the same taste in music, skip the CD’s Think about the trip you’ve been planning, an author you like, or the weekend you nearly set the cottage on fire. Shared dreams and memories are the best source for great gift ideas. If a present celebrates something special about your relationship, it will be the perfect gift. It’s coming together. You’re thinking relationship, looking for the unexpected and being your extravagant self. Here are some pointers to help you narrow your search. Distance lends enchantment. Think back… Did something funny or endearing happen several months back? Mining your memory might help to get you started. It enhances the element of surprise and your partner will be moved by your thoughtfulness, and attention to detail. Have a sense of humour. Laughter is always a good thing but remember to be kind. Bitchy should never be wrapped up with a bow. A simple idea can be a great idea. Can’t think of something in your price range? Why not think big to start? Does anything special come to mind? What makes it a great gift? Can the gift idea be expressed with something smaller? Don’t have the cash for a trip to Thailand? Why not give your partner a collection of travel books about the destination? A useful gift can be ideal. Why are you giving the gift? If the gift-ee thinks of you when she opens it, a practical gift may be the perfect choice. Still drawing a blank. Give yourself. Write a letter, prepare a scrapbook, plan a dinner or a special outing. Think outside the gift wrap. Exchanging gifts adds excitement to any holiday, but don’t make the mistake of giving a gift just for the sake of giving a gift. Ron Wheatley is a creative artist and coach. A Muppeteer wannabe from way back, Ron is co-founder of Hupdaditty and owner of www.ronwheatley.ca A web media professional for ten years, Ron recently launched www.ericmaiselsolutions.com with Eric Maisel. Ron hates selfies, rude people and phones that go off during theatrical performances. He prays for wisdom and laughs at the amount of nonsense he spoke in his youth. Ron struggles to be busy in the laziest way possible and when he’s not working or sleeping, he enjoys cartoons, politics or binging on Coronation Street.